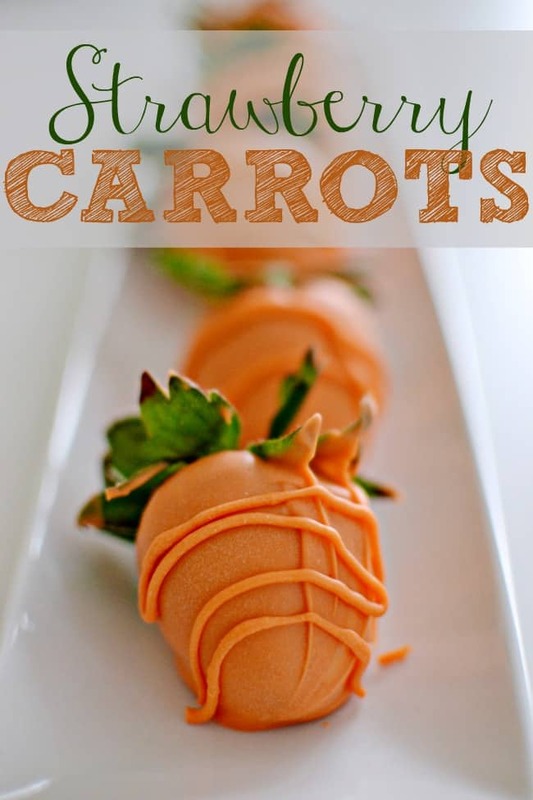 If you are looking for the perfect treat to serve for Easter then these candy-coated strawberry carrots are just the thing. They are fun and delicious, if you like strawberries of course. Which I totally do. I also recommend purchasing a candy melting pot. 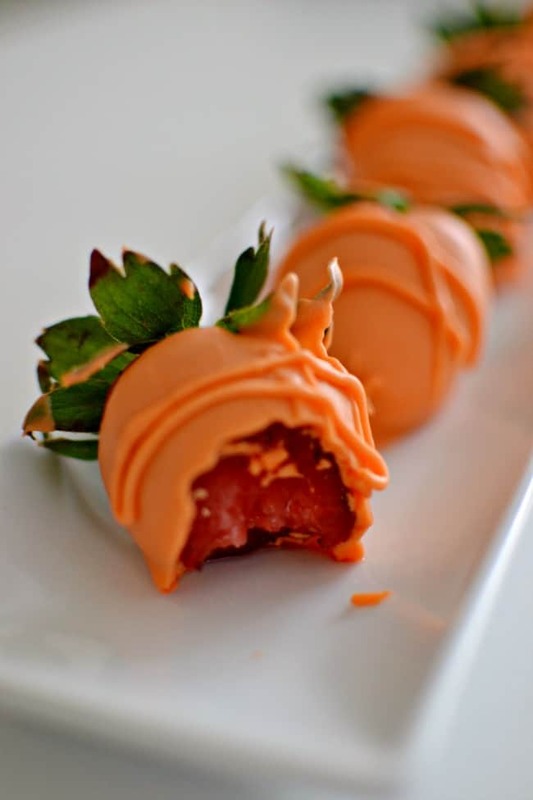 They make the process of coating strawberries, cake pops, etc super easy. Wash and allow your strawberries to fully dry. Melt your orange candy melts. Like I said, I use my Wilton melting pot, works great for melting candy. 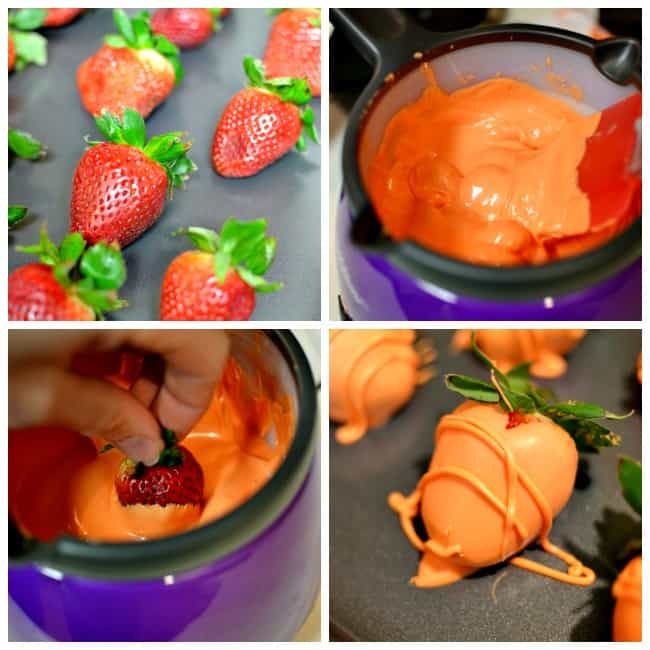 Dip your strawberries in the melted candy and twirl until fully coated. Place on cookie sheet and allow to set. 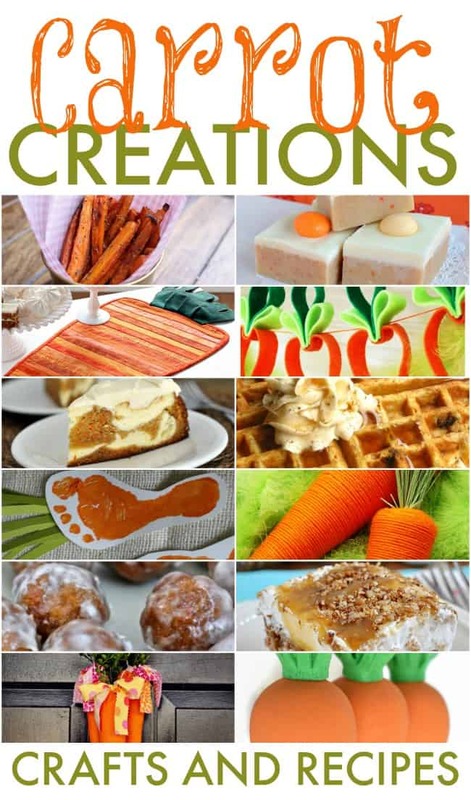 If you love this carrot idea then you might also like my carrot creations round up. So many cute carrot things for Easter from desserts to decor and even the cutest crafts for kids. 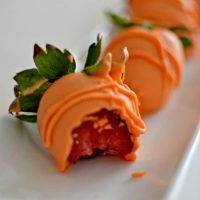 Looking to print this Strawberry Carrots recipe? Melt your orange candy. I like to use a Wilton melting pot, works great for melting candy.